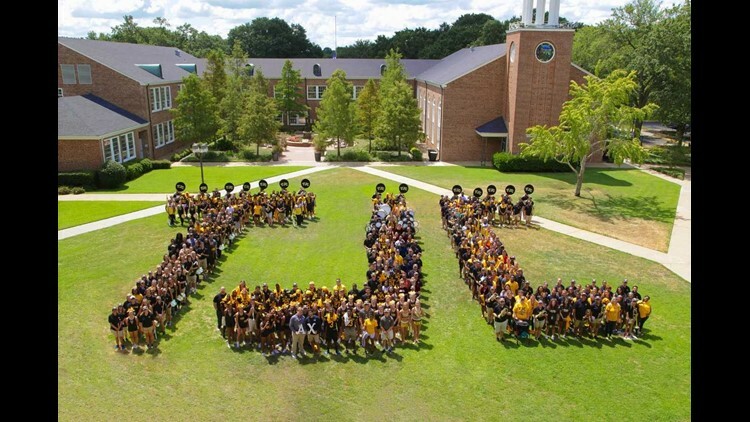 TJC credits their record growth in enrollment to many factors, including accommodating to students' needs and extending their focus on not only traditional students just leaving high school, but also on adults returning to college for additional training. TYLER — Enrollment at Tyler Junior College has hit a historic high this year, with more than 12,000 students enrolled for the Fall 2018 semester. According to the college, enrollment is up by almost 7 percent from Fall 2017's total of just over 11,500 students. The school beat their record last set in fall of 2011. Growth in enrollment comes thanks to an influx of transfer students, high school and first time in college students (FTIC) -- "while maintaining strong momentum with continuing and returning students which represents the emphasis on academic success, persistence and graduation." We are constantly keeping an eye on the needs of the community, and right now health care and medical jobs are at the top of the list,” Metke said. The school recently got approval to offer another bachelors degree for Applied Technology in healthcare systems and medical technologies, with two more associates degrees making their debut later on in the year. “These future graduates will stay in our area to fill the skilled jobs that are needed for the future well-being of our region and for each of us." Metke said.